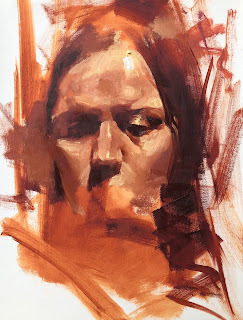 qiang-huang, a daily painter: "Head Study 010719"
I went to portrait painting yesterday. This was my very first painting of 2019. Rusty hand with rusty colors.